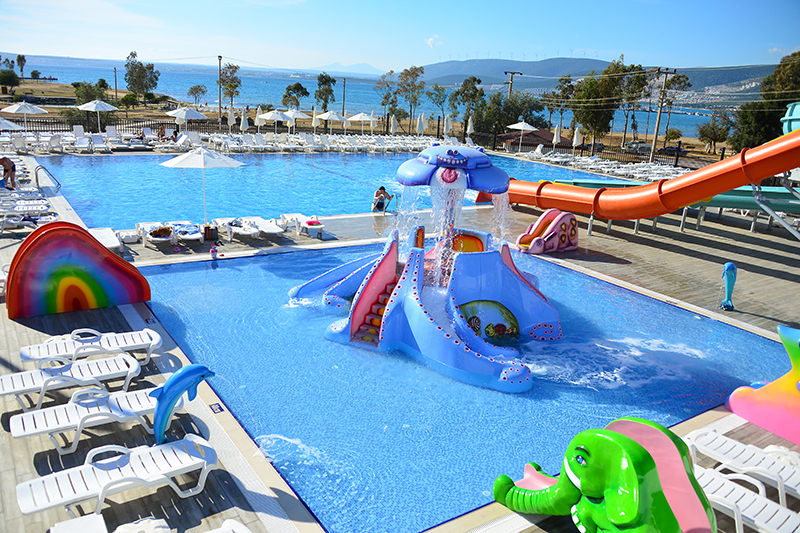 Ramada Beach Club, has special beach complex in Mandalya Bay of Akbük gulf which is one of the most known bays of Didim. There is 1200m distance between hotel and beach. Our shuttle services are available all day long between hotel and beach. Shuttle services are free of charge and always ready to take you to hotel or beach. 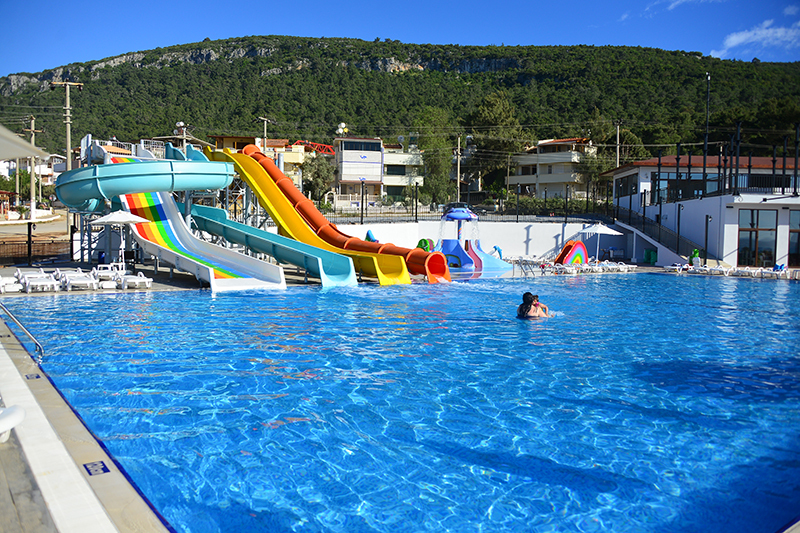 On the beach there is pool with four waterslides, one kids pool with slides, snack bar, small buffet which serves Turkish Pancake. 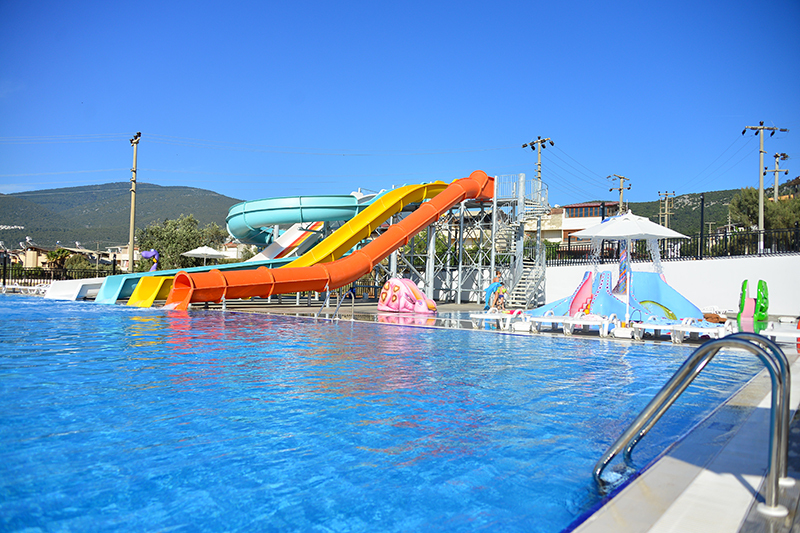 Shallow sea is especially suitable for children. Animation shows are continuing in beach area both for adults and children. Sunbed, umbrella and towels are provided free of charge.